The last session of golf takes place this Tuesday weather permitting. The last session of golf with Shane takes place next Friday the 15th January. Golf lessons finished today for all classes. Thank you to Shane for teaching the students. 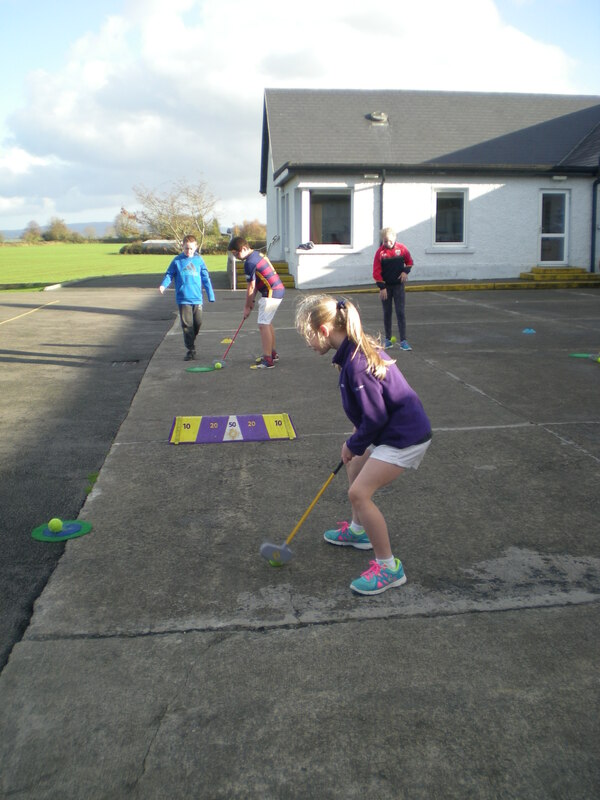 Golf lessons have started in the school for pupils from infants to 6th and will run for five weeks. There will be no lesson this Friday due to the girls county final however there will be two lessons instead next Wednesday and Friday for the children. Golf is starting for all classes in November. We look forward to seeing some future Rory McIlroy’s emerging!